The Chameleon team recently spent the weekend in Bellevue, WA at the Fashion Focus show for hair and skincare professionals. We learned the latest techniques in cutting and coloring which highlighted funky razor cuts and fresh Spring colors. We had a blast and are looking forward to implementing all of this new knowledge here in the salon. We can't wait to see you and give you a new look for Spring! Step 1: After shampooing hair, blot hair dry - never vigorously towel dry wet hair--especially if you have waivy or curly hair. Step 2: Use a leave in conditioner to coat and protect the hair. Step 3: Apply a straightening product to support your efforts and protect your hair from thermal styling. Make sure to distribute the product through the hair evenly by combing from scalp to ends. Step 4: Blow dry the hair starting in the nape with smaller 1/2 inch sections for thick hair or 1 inch sections for normal to fine hair. Use a boar-bristle brush or a flat brush. Work up the head making certain each section is completely dry and straight. Apply as much tension as necessary and don’t be afraid of using heat. Be sure to direct the air flow of the blow dryer down the hair shaft to ensure the cuticles of the hair will lay down smoothly. Step 5: Once hair is dry and straight, go over large sections with a flat iron to ensure the style remains straight. 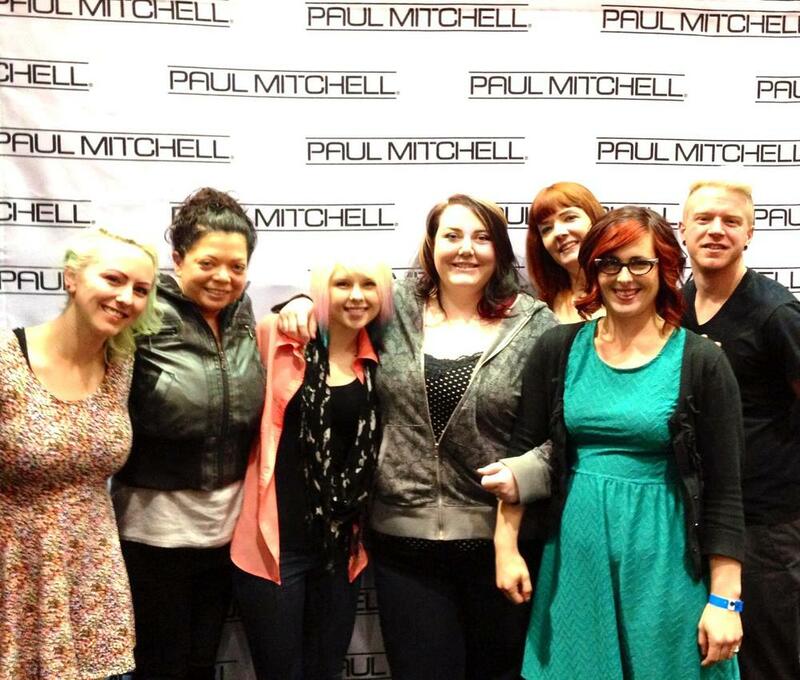 We recommend Paul Mitchell's Hot Off The Press when flat ironing the hair. if you use larger sections you will leave more volume in the hair while still achieving a smooth look. If you choose to take smaller sections the hair will lay much more flat. Tips: Allow the hair to cool while it’s still in the brush to prevent it from reverting back to curly. If the hair air dries as you work, it will become too curly. Spritz the hair down with water before blowing drying it straight and re-spritz when necessary. Apply a wax or pomade to hair line area to tame any "baby hairs". Use the same product to lightly coat ends of hair to keep them sleek and smooth throughout the day. You can also use the same product to gently tame fly aways. We suggest Paul Mitchell's Foaming Pomade. * What do you like best about your hair? * How much time do you want to spend on your hair? * What don’t you like about your hair and what problems need to be addressed? * if you're totally open minded to new styles,What would you not like to see with your new hair style? * Do you have any length considerations? * Do you have pictures to help accurately describe your desired style?